Love marine life and looking to take the plunge with the love of your life and get married encircled by tropical fish and coral? There are a variety of destinations and options available, even if you can't swim you can always take a dive and marry underwater. 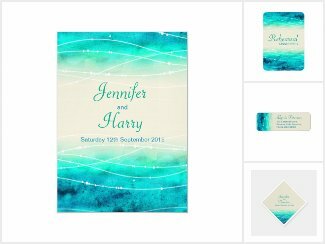 If you don't wish to get wet or travel overseas but still want that underwater theme a great option is to get married at a local aquarium. 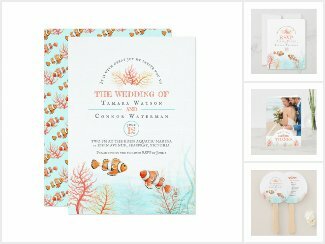 An aquarium wedding will ensure an unforgettable watery experience for you and your guests and better still you don't have to get wet and ruin your wonderful wedding dress. Another aquatic option is hiring a private submarine with some submarines offering space for up to 20 guests this is a great choice for those who would like a more intimate deep sea wedding experience. 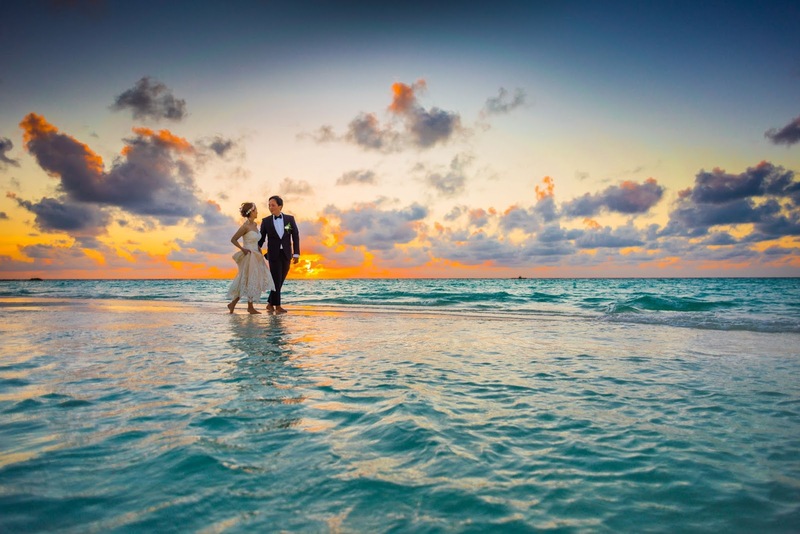 Popular locations to enjoy a submarine wedding include Mauritius, Fiji and Barbados. If you want the real deal and to dive, the world has so many wonderful natural underwater backdrops. Popular locations to dive into the sea to get married include Bali, Hawaii, Thailand, Cayman Island, Mexico and the amazing Great Barrier Reef in Australia. 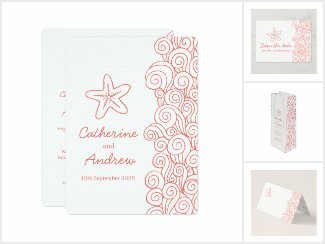 Just like a normal wedding you can reduce your stress and take the burden of the wedding logistics away by using a specialist underwater wedding planner. 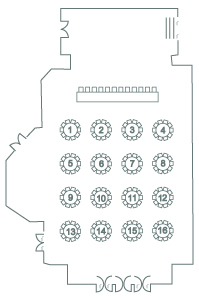 Your choice of marine venue will be able to assist you to find your perfect wedding planner. If you don't have the money and fancy planning your own wedding instead, no doubt you will be wondering how do I have a diving wedding experience and keep my guests dry? Don't worry all your guests don't have to join you in the water, unless you want them too, instead your guests can watch from aboard the dive boat or from your reception location near by. In some countries a second ceremony may be necessary as not all ocean water weddings are legally accepted this is commonly done on the beach or at a beachside hotel. So what are you waiting for? 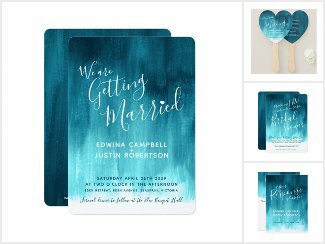 Tell your guests you are diving in to married life with a splash with one of these uniquely designed aquatic styled wedding invitations.